Dust off your early ’00s pop music-loving hats, because one heartthrob is back. Jesse McCartney has a new song and new music video, and our hearts can barely take this news. McCartney’s new single is called “Better With You,” and it’s full of classic Jesse McCartney feelings, but more grown-up, too. The video for “Better With You” premiered in an interview with Paper magazine, where we dare say McCartney poured out his beautiful soul. Sorry, not sorry! Also, the singer is 30 now, but you’d never know it just from looking at him. He’s still as boyishly handsome as ever, with blond hair you’re just *dying* to run your hands through. Alas, he’s super happy with girlfriend Katie Peterson now. They do adorable Instagram posts of each other all the time, and even when they’re being sappy about it, we can’t help but want to hug them both. In Jesse McCartney’s new music video (we can’t say that enough), which does *not* star Peterson, a tiny accident sets off a chain of events that leads to the ultimate meet-cute. While McCartney sits at a cafe, pleasantly singing about the mundane aspects of life, a girl passing by drops a coin from her purse. Ever the gentleman, McCartney gets up to retrieve it and return it to her. The singer and actor told Paper magazine that he recognizes the nostalgic elements of “Better With You”. After one listen, you might realize it sounds familiar; it’s like the natural progression of 2004 hit “Beautiful Soul.” While speaking with Paper, McCartney revealed that the song is somewhat autobiographical, and he wrote it while reflecting upon the last five (!) years he’s spent traveling, exploring, and generally being cute AF with his girlfriend. More than that, though, McCartney says he hopes fans recognize the “uplifting message that was written during a turbulent time socially and politically” because as fortunate as he’s been in his personal life, “the world felt like it was unravelling” around him. Romantic, talented, and socially aware? 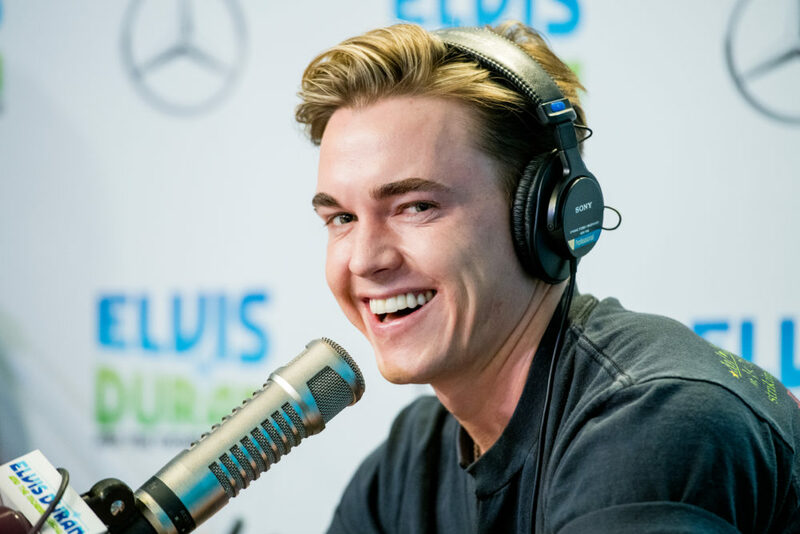 Jesse McCartney really is the former boy band guy of our dreams.